Once again Bluewater Photo and Travel flew across the Pacific to the Philippines for our 2014 Winter Anilao Workshop. With a typhoon in the forecast the trip started a bit rough, but it ended with huge smiles, exclamations of exciting critters found and lots of fabulous photos. 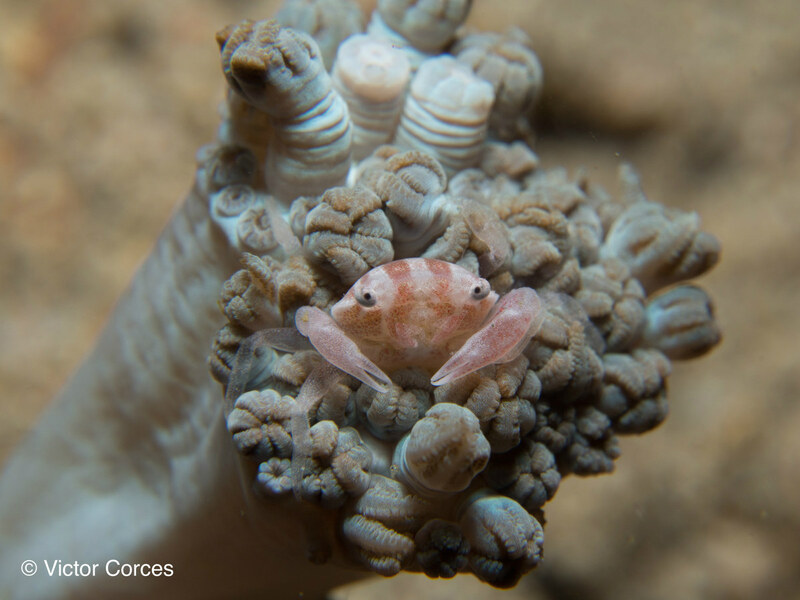 Anilao bay is home to a vast amount of minuscule critters that make their homes in the sand and corals beneath the water. 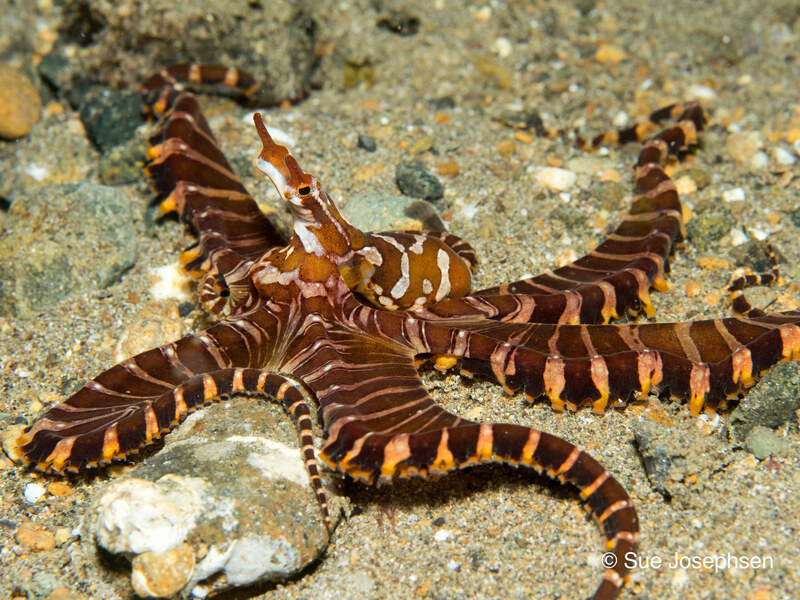 This region is renowned for macro life, from tiny little shrimps, crabs and hundreds of different nudibranchs, to octopus, tropical fish and so much more. 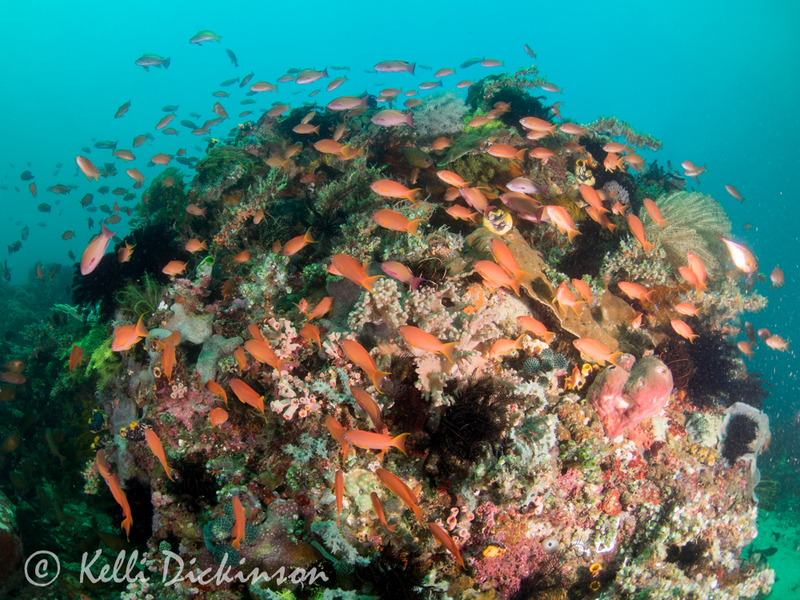 In addition, the area boasts beautiful coral reefs, flourishing with colorful fish. 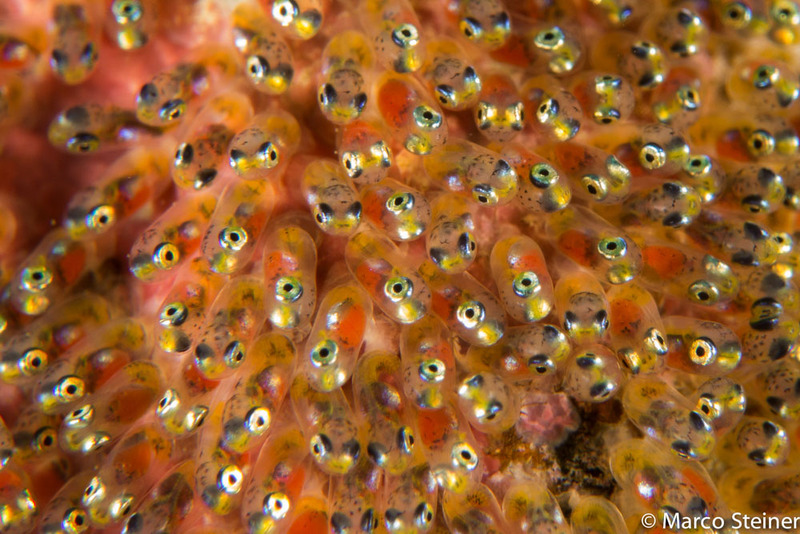 World renowned for it's macro critters, Anilao offers wide angle photography too. 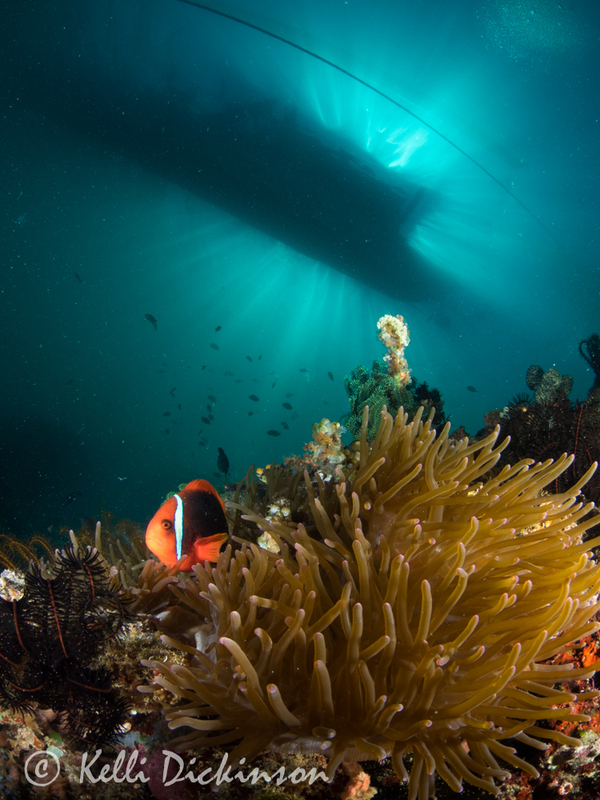 Hosted at Crystal Blue Resort, our guests enjoyed days with four dives split in the morning and afternoon/evening. 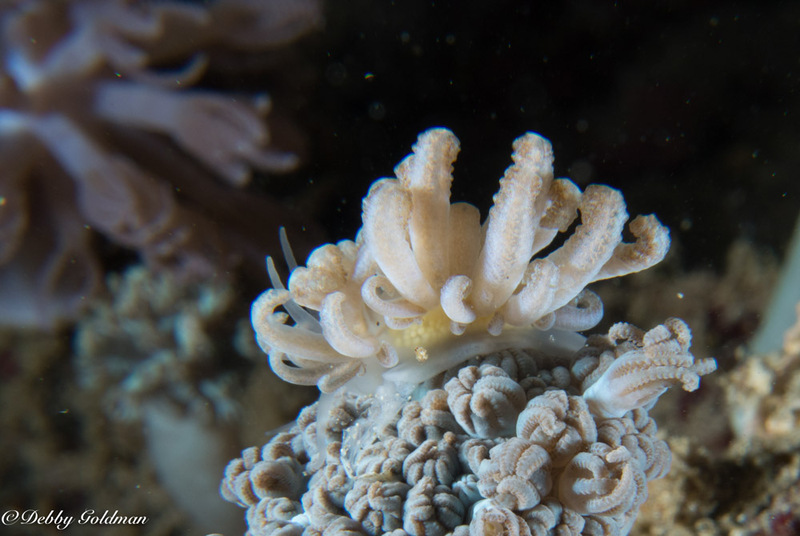 Between the AM & PM dives we offered photo seminars with subjects tailored to the workshop, including macro photography, lighting, wide angle and more! 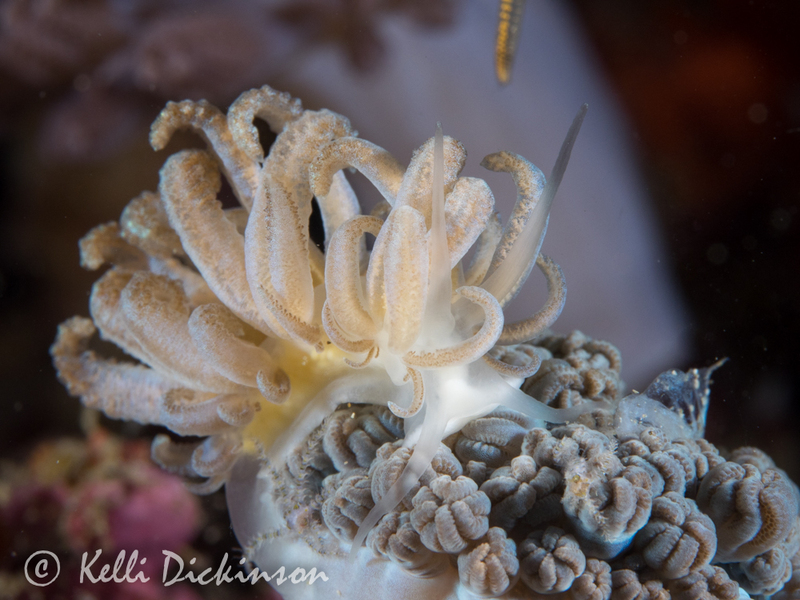 Tips on photo editing, and one on one time was available in the evenings after the dives along with our usual image reviews. Everyone arrived Sunday and slipped underwater for two enjoyable afternoon dives giving them a taste of what Anilao has to offer. Unfortunately for our group, the start of the trip fell prey to a late season typhoon and we lost a day and a half of diving due to heavy rainfall, strong winds and rough seas. Despite the storm outside, we kept busy in the resort with several different underwater photo talks and a slideshow of the natural history and critters of the area, answering questions with the guests and working on the photos they were able to take Sunday afternoon. 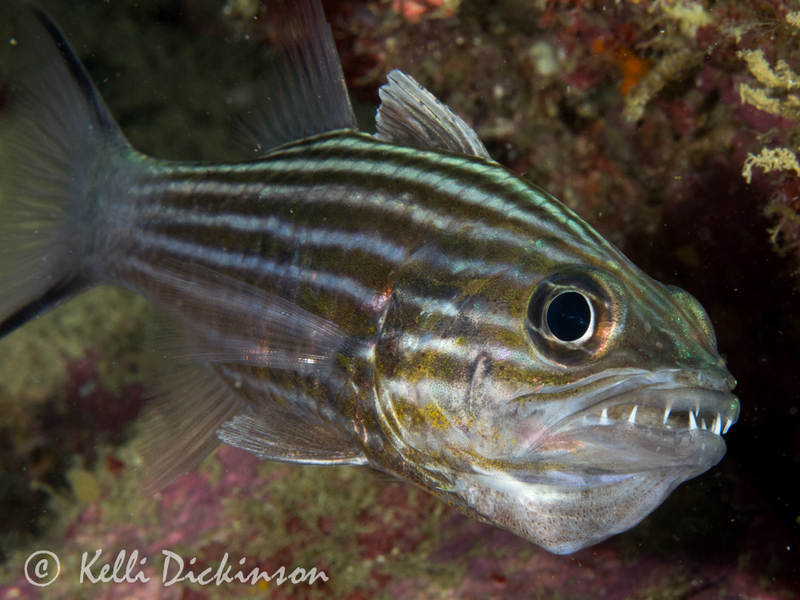 Even the marine life was unhappy with the storm as a Cardinalfish carries her eggs in mouth. Once the rain and wind let up it was go time. Happily everyone suited up and the boats departed for dive sites around the area. The storm did little to no damage to the immediate area, and no damage underwater, all the critters were still just as abundant as every, and the very skilled guides pointed out frogfish, jawfish cradling eggs in mouths, colorful nudibranchs, pygmy seahorses, pipefish that looked to be no more than wisps of hair, cuttlefish mating and SO much more! 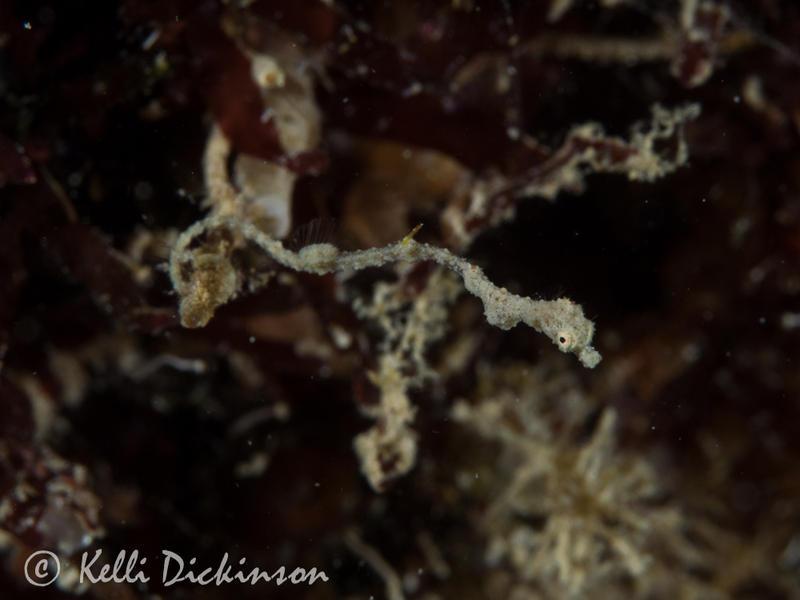 The expereinced guides were experts at finding critters like this pygmy seahorse. Back on schedule the trip continued to unfold pleasantly alternating diving with photo talks and I kept hearing how excellent the previous dive was, how exciting it was to see this new critter or that one. Before we new it the week was up, and the workshop was officially nearing an end. Gathering together Saturday night we shared our final favorite images from the week before folks departed for Manila on Sunday. 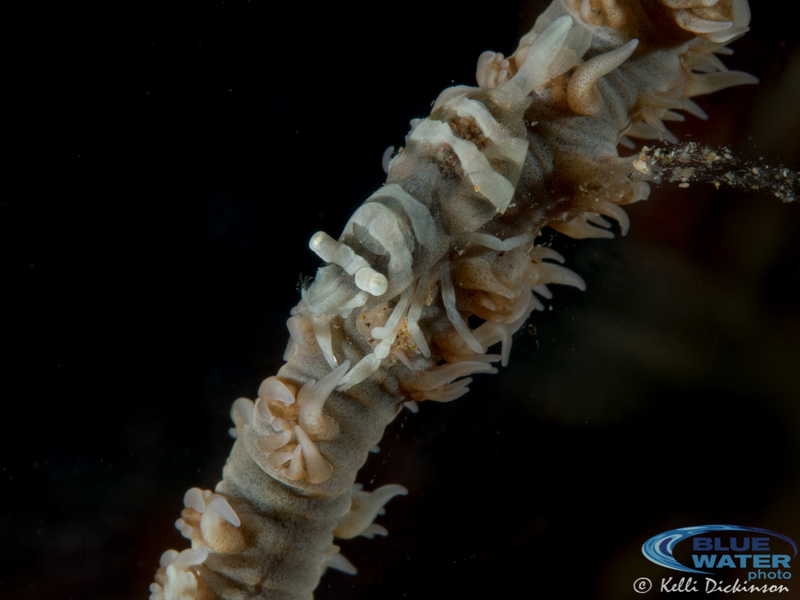 All in all it was an excellent trip with fabulous diving despite the rainy start. Thanks again to the lovely staff at Crystal Blue, and most importantly to the fantastic Bluewater guests who came on this trip. Huge smiles from everyone on the Bluewater workshop. Thanks for a memorable trip. 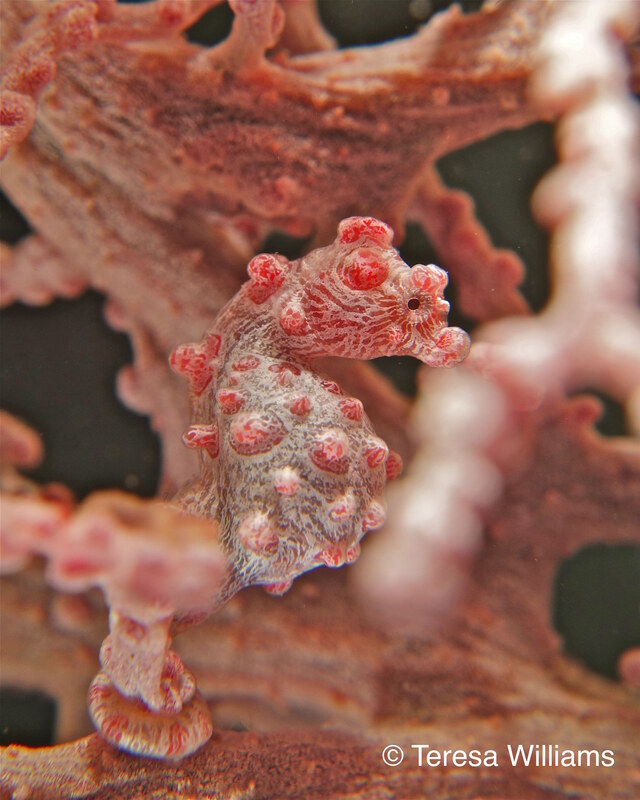 Anilao is one of world's top destinations for macro photography. 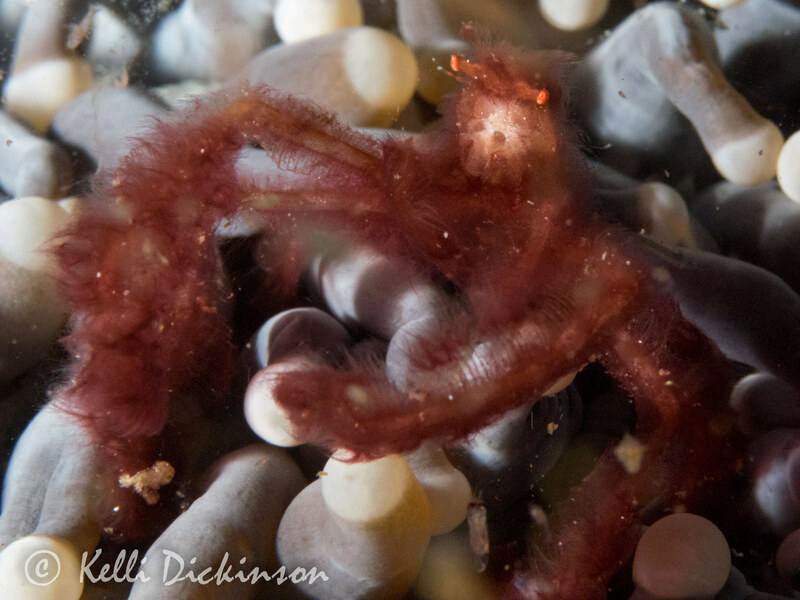 A Tiny Soft Coral Crab. 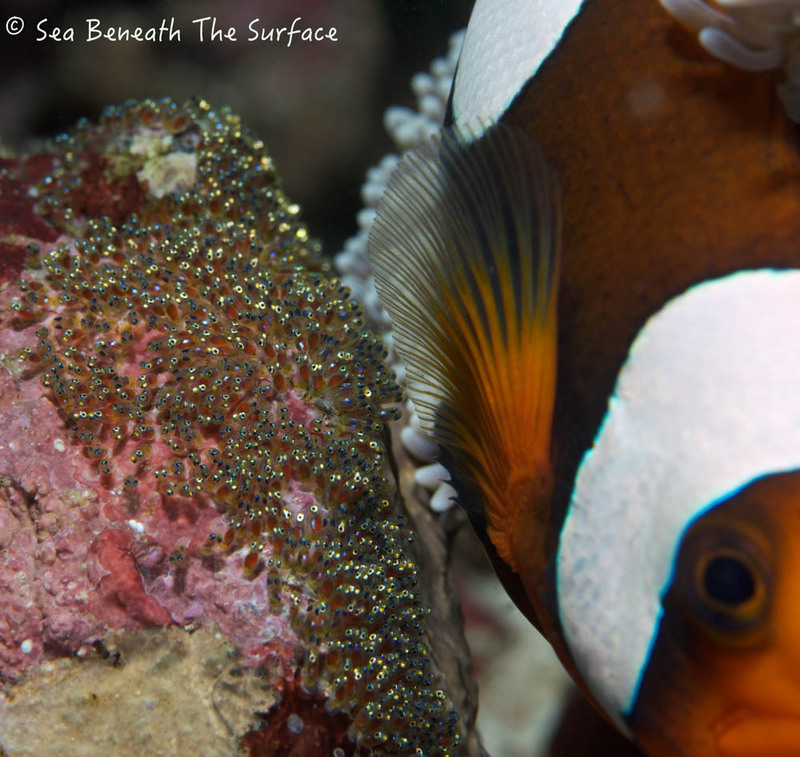 An Anemonefish guards it's eggs. 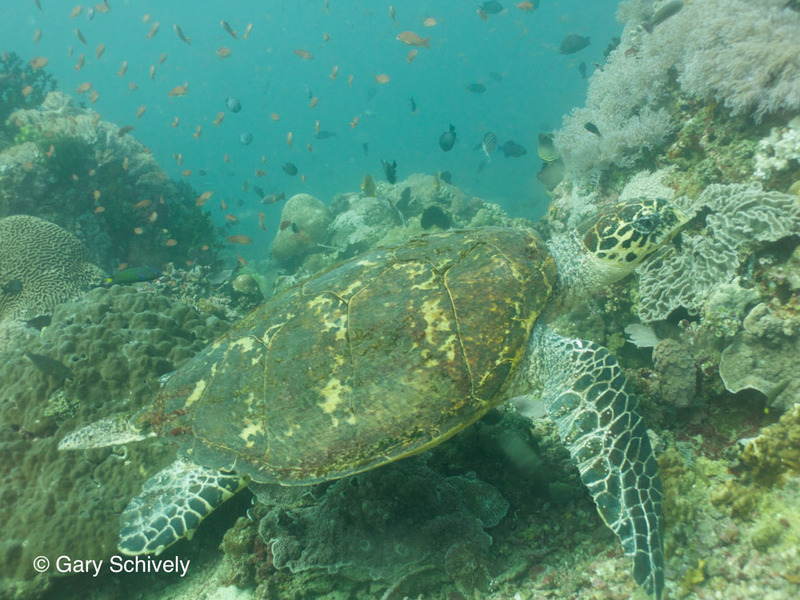 A Hawksbill Turtle swims by. 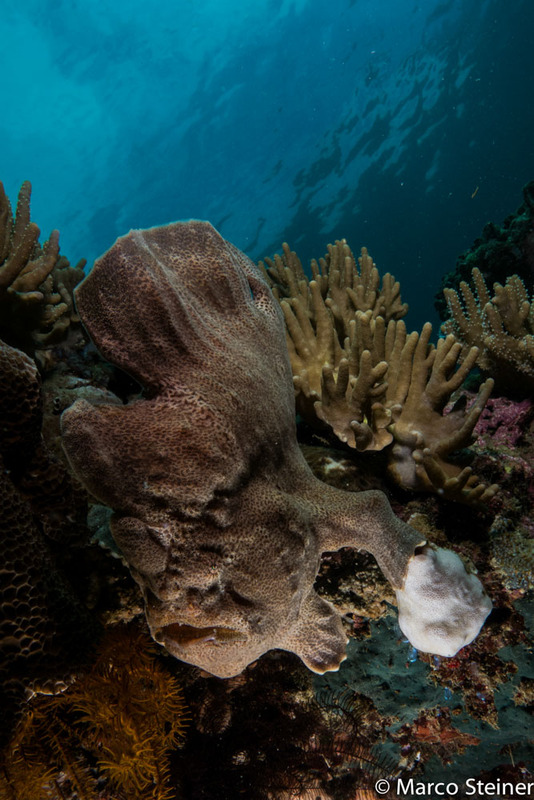 Anilao is one of the best places to photograph Frogfish. 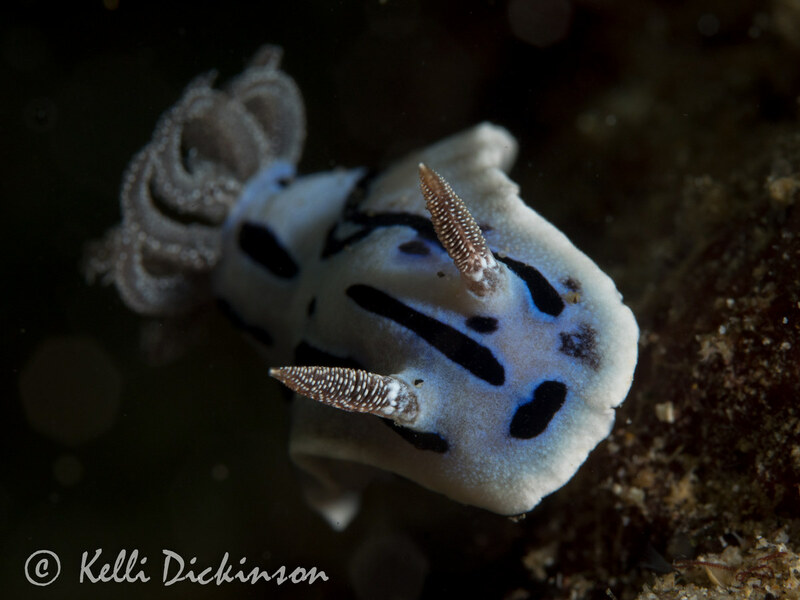 Multiple species of nudibranchs are common on every dive. 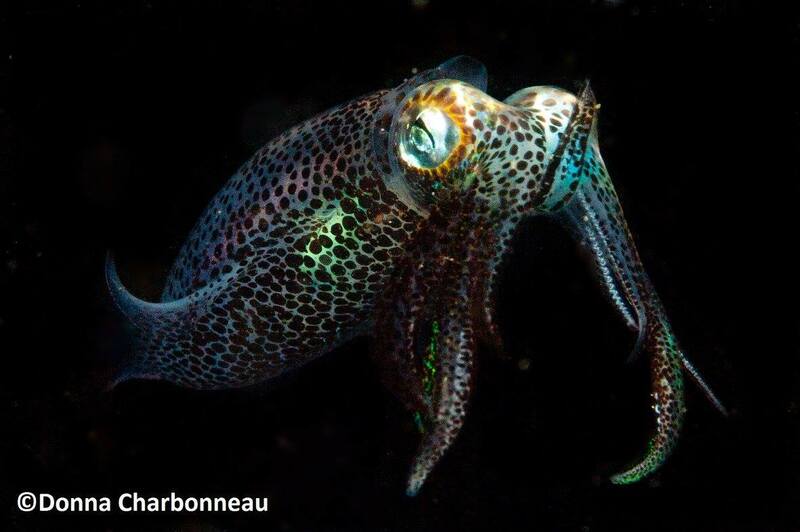 Psychedelic squid during a night dive. Email us at info@bluewaterdivetravel.com to reserve your spot and ask us about doing a hassle free combo trip to Puerto Galera. Bluewater Travel can book you on any of the fabulous resorts in Anilao or Puerto Galera for the same cost or less than booking any other way. We know the resorts, rooms and when to go better than anyone else! Email us at info@bluewaterdivetravel.com to start your adventure.